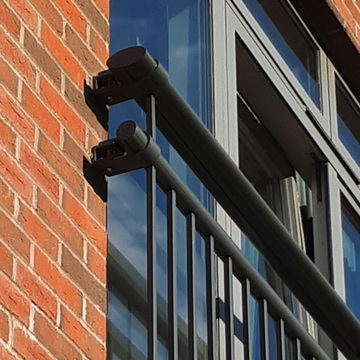 Both the Belgrave and Berkeley Juliet balcony ranges use a unique design of aluminium handrail and male & female extrusion connection system, which mean it is as strong as steel alternatives and conforms fully to BS6399, despite being just half the weight. It has been tested by independent structural engineers to measure its safety and performance levels, and the results confirmed it meets the requirements for BS6399 Part 1 for both Category A domestic & residential and Category D retail areas. 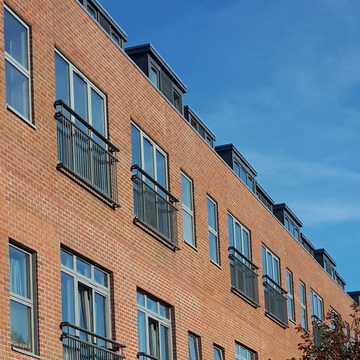 For full details of loads, fixings and connection design, download the aluminium Juliet balcony technical sheet. Contact Multi Metals today for price and delivery details on your Belgrave Juliet balconies.